The Institute of Ancient Studies explores human evolution and early European cultures, concentrating its studies on the Mediterranean area, North-East Africa and the Middle East from the Palaeolithic Age (approximately 2,6 million years BC) to late antiquity, as well as the perception of these cultures. It was founded during the restructuring of Faculty 07 ‑ Geschichts- und Kulturwissenschaften and arose out of a merger of the Institute of Egyptology and Ancient Near Eastern Studies, the Institute of Classical Archaeology, the Department of Classical Philology, the Institute of Prehistoric and Protohistoric Archaeology and the “Paradigma Alte Welt”. Since October 2013 the following archaeological and philological disciplines of the Johannes Gutenberg University Mainz are united in the Institute: Egyptology, Ancient Near Eastern Philology, Classical Archaeology, Classical Philology, History of Reception, Ancient Near Eastern Archaeology and Prehistoric and Protohistoric Archaeology. The archaeological, historical, philological and cultural science approaches of the different subjects complement each other symbiotically. The newly existing Institute of Ancient Studies can already look back on many years of cooperation among its different disciplines in research and teaching. The success of this cooperation is visible for example in the jointly organized workshops and lectures which have been very popular. 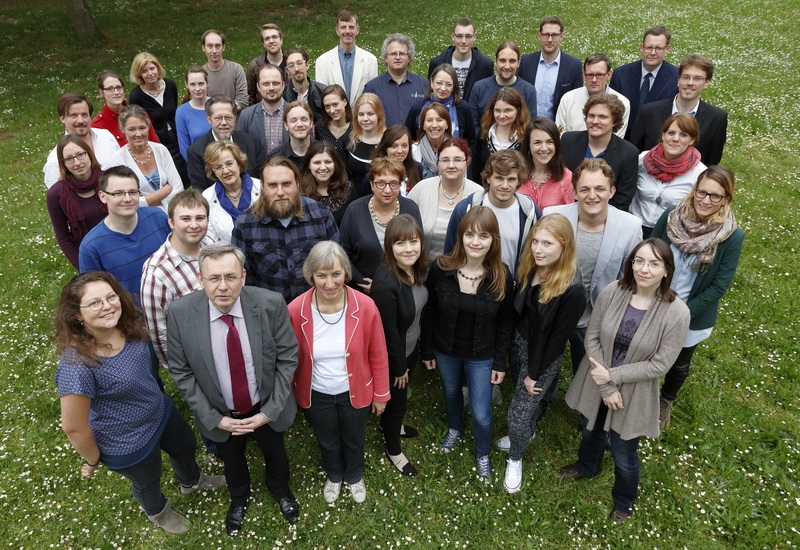 Furthermore the foundation of the post-graduate programme “Frühe Konzepte von Mensch und Natur” has been a great success. It commenced its activities at the same time as the Institute of Ancient Studies and has been supported by the Institute’s members. The close connections between members of the Institute arises from the collaboration of methodically diverse disciplines whose research covers the same geographical and chronological fields (for example Ancient Near Eastern Archaeology and Ancient Near Eastern Philology). In some cases, the archaeological and philological disciplines are methodically related, but consider different cultural regions; on the other hand, methodically different disciplines cooperate in the study of the same cultural regions. The Institute of Ancient Studies of the Johannes Gutenberg University Mainz is one of the very few Institutes in the German-speaking area which explores and teaches antiquity in a wide thematic and methodological breadth and complexity. It is therefore highly significant in creating the profile of the University of Mainz as a University in its proper literal sense. Among the Institute’s special features are the substantial collections in the field of Classical Archaeology (originals and replicas), as well as the study collections of Egyptology, Ancient Near Eastern Philology and Prehistoric and Protohistoric Archaeology. The collections are frequently used by the University for research, teaching and public Relations.